Cook and drain pasta as directed on package, adding peas during last 4 minutes of cooking time. Rinse with cold water to cool; drain. 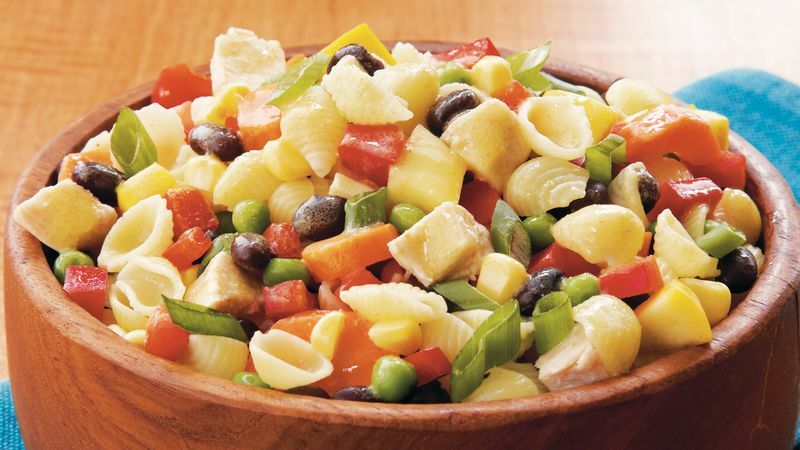 In large bowl, mix pasta, peas, chicken, bell pepper, squash, carrot, onions, corn and beans. In small bowl, beat remaining ingredients with whisk until blended. Pour dressing over pasta mixture, toss gently to coat. Serve immediately, or cover and refrigerate until chilled.